The May St Dental Centre team offers a full suite of services to meet your needs. 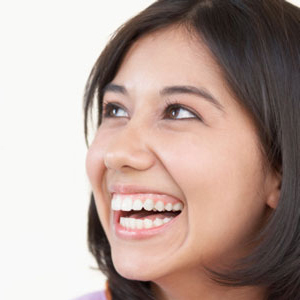 Teeth that have decay, wear or erosion may require filling. We use only the safest and most trusted materials are used. Once decay is present, there is no way to stop it from spreading. It will damage more of your tooth, causing pain and resulting in more serious problems if not addressed. A filling covers the hole that is present, preventing further bacteria from entering your tooth. What Is a Composite Filling? How Is a Composite Filling Placed? Fillings can be made from different materials. We primarily offer tooth-coloured composite fillings that are invisible, blending in perfectly with the rest of your teeth. Composite materials are also useful in reshaping teeth that are chipped or to fill in small gaps between teeth. Composite is made up from a mixture of fillers, resins and colourants, which is applied to the tooth layer by layer, then cured with a light. They’re created to match the colour of the rest of your teeth. The other advantages are that you don’t need to remove much of the healthy tooth structure to apply them and that they’re durable and less likely to chip or crack than metal fillings. Thanks to modern anaesthetic, getting a filling is nearly painless. The dentist will begin by numbing the area and removing any decay. The cavity is disinfected and dried afterwards. The tooth is then etched to make a rough surface that the composite can bond to. The composite material is mixed up after being colour-matched to the rest of your teeth. The filling East Fremantle is built up by layers, then shaped and contoured for a perfectly natural look. After the filling is placed, you may experience sensitivity that lasts for a few days. As soon as the anaesthetic wears off, you can eat and drink as normal and return to your daily activities. Contact May St Dental Centre today to have all your questions answered by our friendly team and book your time! Health funds are accepted.